Welcome back to school to all our children and also a big welcome to our new families joining us this time. The children have all settled into school incredibly well. 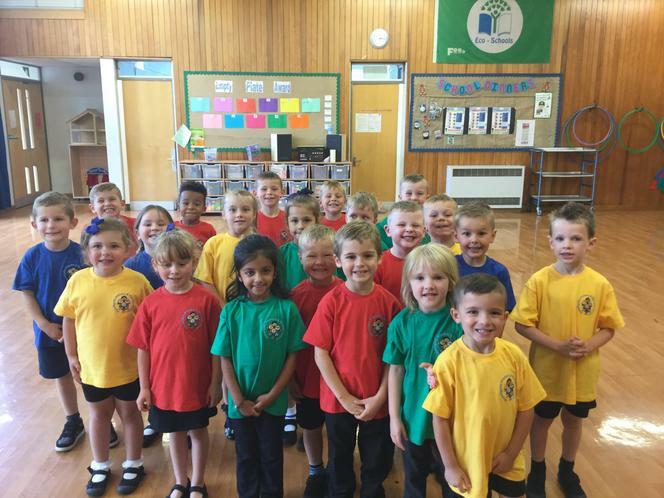 We are also very pleased to be able to have given every child a new PE T shirt in their house colours. These were given out this week and here is a photo of Miss Chilton's class proudly wearing their T shirts for their first PE lesson this week! We are sure you agree they look wonderful!